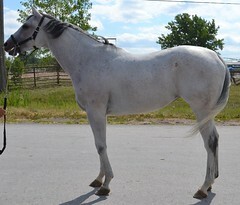 Tangled Tart is a very sweet mare who is very deserving of a great home and a new lifestyle. She last raced in August 2016 and has been hanging out with her connections since she retired. In her 22 starts she earned 4 firsts, 2 seconds, and 2 thirds at race tracks including Keeneland and Churchill Downs! Tart is “pleasantly plump” at the moment and is reported to be an easy keeper. She may need a brush up on her under saddle skills, but her sweet demeanor will certainly ease her transition back into being a riding horse, this time in a less strenuous discipline. She was very polite during her photo and video shoot despite being out of work. 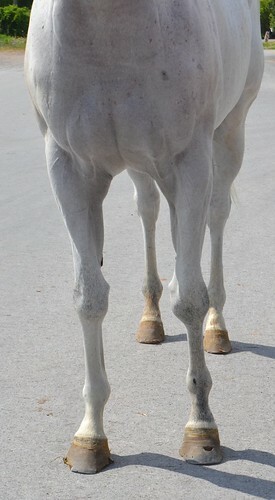 It is reported that she is a good girl to work with in her stall and out of the barn and has no vices. Her trainer reported she would come back knee sore after her races so lower impact disciplines may be better suited for her. She showed a nice toe pointing and ground covering trot for her jog video so perhaps hunters or dressage are in her future! It should be noted that she was Tart was barefoot during her video and had very overgrown hooves (her handler reported this would be taken care of very soon). 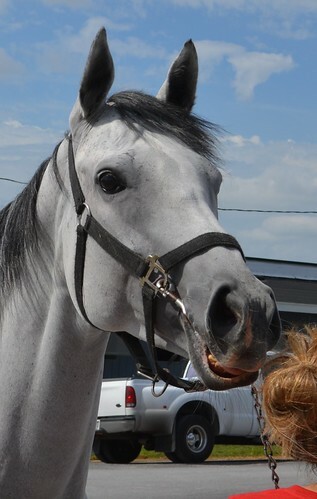 We think this adorable and kind mare is truly a diamond in the rough! 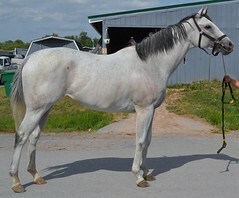 She is by Majestic Warrior out of a Personal Hope mare.